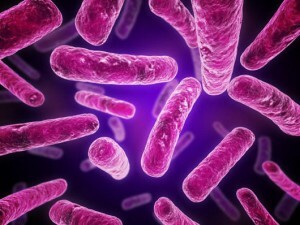 Alright ladies, I don’t know if you’ve heard, but purses are so out and bacteria is so in! While handbags were once fancied for their custom embroidery and their name-brand buckles, the newest purse-trend hitting the fashion world this season is bacteria, and one in five women are already rocking this new look on their fashionable shoulders. 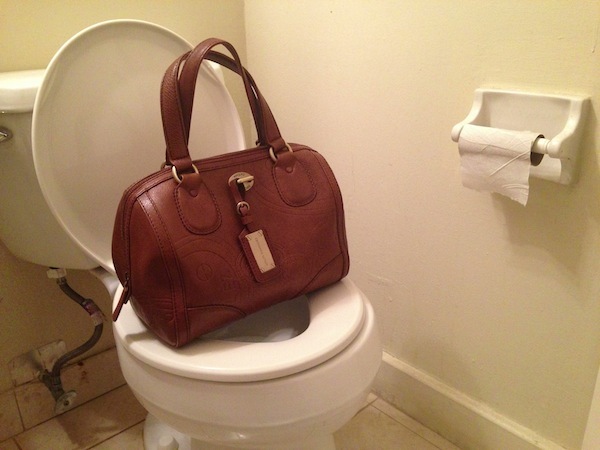 Along with wallets, keys, and compact mirrors, a new study conducted by the oh-so fashionable, Initial Washroom Hygiene, reveals that 20 percent of handbags also carry around more bacteria than a toilet seat, both inside and outside of the bag. But don’t worry! We all know that fashion comes with a price tag, but this new trend is completely free, and, who knows, you may already be stuntin’ trendy bacteria because this new look is literally contagious, according to Peter Barratt, technical manager at Initial Hygiene (Trust him… Rumor has it, he’s Kim Kardashian’s stylist too 😉 ). “Handbags come into regular contact with our hands and a variety of surfaces, so the risk of transferring different germs onto them is very high, especially as bags are rarely cleaned,” Barratt says to Medical News Today. So where can you find this latest germ-trend? 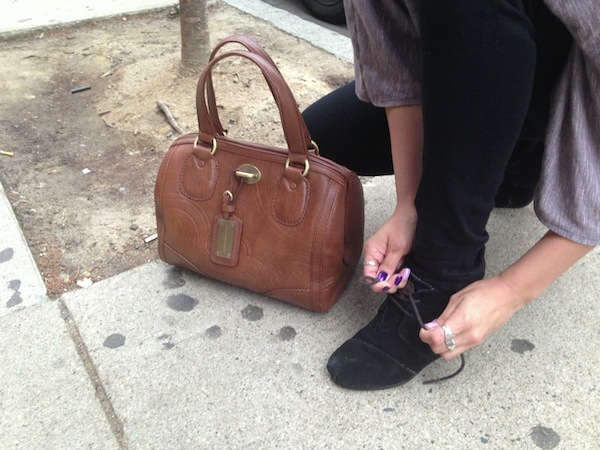 How about placing your purse down on a pile of dried up gum on the floor while tying your shoe? 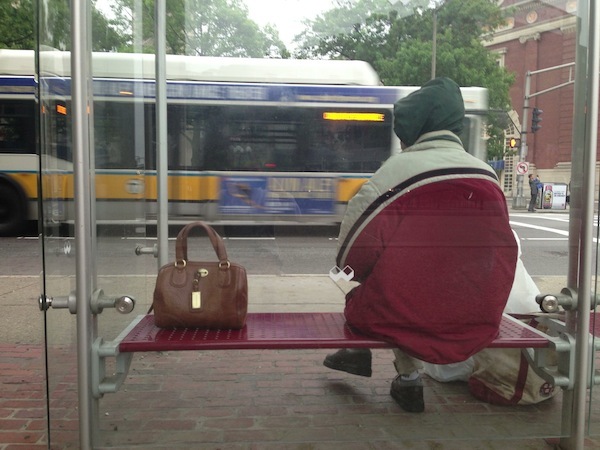 Or placing it on a public bench at a bus stop next to a homeless man? A trashcan may do the trick. Better yet, why not actually place the purse on a toilet to get that toilet-fashion look seen on the runways? And don’t forget, basically anything you touch can be made into a fashion statement… just as long as you’re not using soap and water. If you simply don’t wash your hands after using the restroom, grabbing door handles or using public transportation, the little accessories in your bag (coin purses, lotions, etc.) 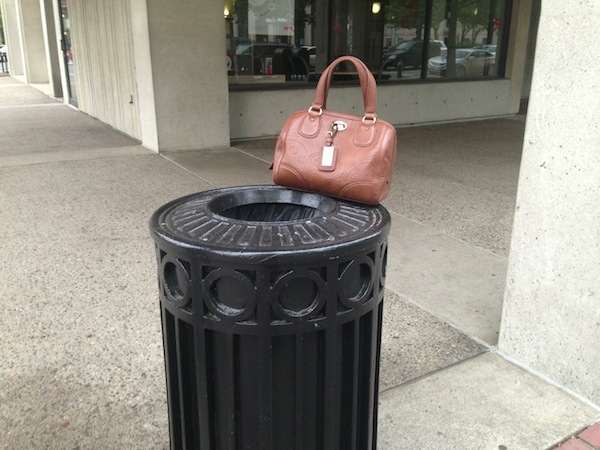 can be just as high fashion as the actual bag itself, too! Now, get your health fash on! On a real note, it is suggested to use cleansing wipes to clean your purses daily to remove accumulated bacteria on the outside of the bags. It is also recommended to use hand wipes/sanitizers after grabbing items from inside of the purse to prevent spreading germs that are found inside of the bag. These statistics and sources are real, but the fashion trend isn’t. Stay germ free ladies! This entry was posted in Health Humor, Health Tips. Bookmark the permalink.